Melissa Bickford has created a fun new set that gives you a whole new way to customize your cards! Featuring this great checklist that you can fill-in with many different stamped options or even your own handwriting. Especially sweet when paired with a lot of our existing office style products! 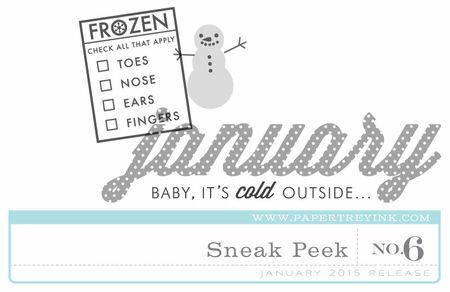 The next installment of the Monthly Moments series from Heather Nichols is perfect for your January layouts! With an adorable little two-step snowman and lots of "chilly" accents, you will have everything you need at your fingertips! 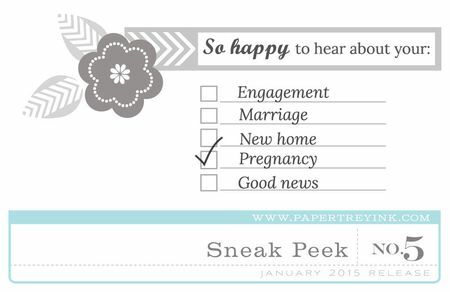 The paper pad this month is especially beautiful and I can hardly wait for you to see it! I like the “January” stamp. These look great. Can’t wait to see complete reveal. These will be fun to use, especially when you need a quick note. So looking forward to seeing the monthly moments. I’ll be so sad when this series finalizes. I’ve so enjoyed it!! Another great month stamp. Can’t wait for this release. Really like these checklist stamps! hugs. Cute sets. Really like the snowman set. LOVE the checklists. These are adorable! Great sets! Heather hit the nail right on the head with “frozen” and “baby, it’s cold outside” as I’m watching the weather report across the US. Eager to see the colors of the paper pad! Another tantalizing sneak peek day. The checklists are so clever. Great ideas. I am so glad I stumbled upon PTI! The stamp sets and dies are so adorable and this sneak peek does not disappoint!! My poor wallet! ? MM for January looks pretty cute! So need the frozen checklist – here in Michigan it’s 7 degrees right now -brrrr! Really like the January Monthly Moments! Looks like a fun monthly moments set. Love the checklist, so cute! “baby it’s cold outside”. That’s a “my Dad original”. Love it. What fun these are! Lists are perfect for personalizing a card! Wow, I can’t believe it’s been a year of monthly moments kits already. Love the frozen checklist, I sure could check a few there today! Love Sneak Peek No. 5! Love these sets they are awesome. These are great – it looks like this month will be the same dilemma, which do I order? Cute stamps! Excited to see the whole set! I can’t wait for the birthday tags and the checklists! Love everything about these new stamps and dies. I am always on the lookout for new ideas for birthday cards and you never fail to deliver!! Can’t wait to play with the trolley car!! Love it!! These are so cute, love both of them. This month has been great! Thanks!